The staff at Coldwell Banker Turtle Cove Realty and Lee met all of our needs and helped us when we were searching homes for sale on Kauai. From our initial meeting in her office, listening to our ideas in a Poipu vacation home. She arranged property showings and made it a fun two days of learning about the island and its neighborhoods and viewing beautiful homes. We looked at homes in our price range and a few that were 10-15% higher and lower to give us a perspective, and which helped us make the best choice for us. There are a surprising amount of choices when deciding upon which part of Kauai you want to call home. The appeal of the dynamic northshore with its epic scenery and long history of celebrity residents has a cache about the Hanalei area. 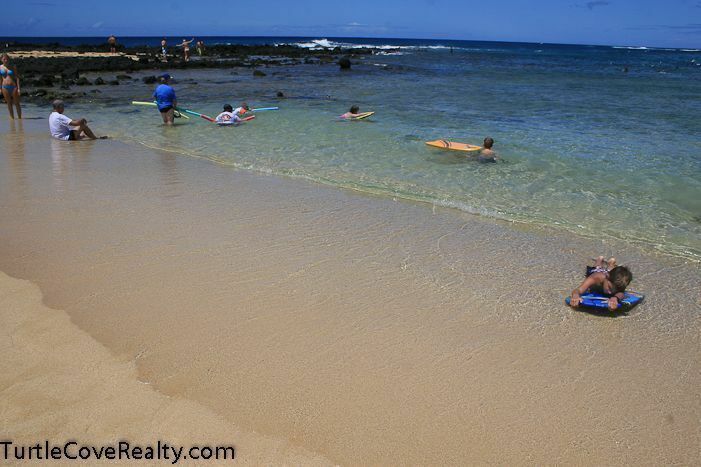 However for us we chose a Poipu Beach vacation home, and here is why. It was important for us to select a property in the Visitor Designation Area (VDA) of the island. The appeal of short term renting the home while we were on the mainland was important. The great rental history of the home and the agency that was caring for the property helps us to offset costs. We are still several years from full time residency on the island. With a kid in college and the youngest in her last year of high school it was not practical for us. As Lee explained, the only two areas of the island have VDA status, Poipu and Princeville. Long term weather patterns played an important factor in our decision making. And the fact that Poipu is one of the sunniest area on Kauai was high on our list. We are active fifty somethings and sitting in the house on a rainy day was not how we envisioned life in Kauai. Let me wrap this up by strongly endorsing Lee Morey who has turned into a trusted friend, and if you are looking for homes for sale on Kuai giver her a call you will not regret it.